The stance of scientists created huge pressure for MPs who risked being labelled ‘ignorant’ or uncaring for objecting. But the question is not nearly as simple as it looks on first appearance. These new regulations are dangerous. Yesterday MPs in the House of Commons voted 382-128 to make Britain the first country in the world to offer controversial ‘three-parent’ fertility treatments to families who want to avoid passing on mitochondrial diseases to their children. Last week forty scientists from 14 countries urged the British legislature to approve the new laws allowing mitochondrial DNA transfer. The stance of scientists created huge pressure for MPs who risked being labelled ‘ignorant’ or uncaring for objecting. But the question is not nearly as simple as it looks on first appearance. These new regulations are dangerous. No other country has officially legalised the techniques and no one can predict what the consequences for future children will be. The Department of Health claimed widespread public support for the measure – despite its own consultation showing a majority (62%) actually oppose the plans. In addition a ComRes poll conducted in August 2014 found that only 18% of people support a change in the law to permit the creation of three-parent children through genetic modification. There are about 50 known mitochondrial diseases (MCDs), which are passed on in genes coded by mitochondrial (as opposed to nuclear) DNA. They range hugely in severity, but for most there is presently no cure and little other than supportive treatment (see CMF briefing paper here and previous articles on the issue here). It is therefore understandable that scientists and affected families want research into these two related ‘three-parent embryo’ techniques (pronuclear transfer (PNT) and maternal spindle transfer (MST)), to go ahead. But there are good reasons for caution. Here are the five big questions MPs failed to answer today. This is not about finding a cure. It is about preventing people with MCD being born. We need first to be clear that these new technologies, even if they are eventually shown to work, will do nothing for the thousands of people already suffering from mitochondrial disease or for those who will be born with it in the future. Parents will generally not even know that they run a risk of producing an affected baby until after the birth of the first. And it is very difficult to predict the severity of the disease in a given case. There is huge variation even within affected families. Mitochondrial disorders are also relatively rare. Perhaps 1 in 200 children are born each year with abnormal mtDNA but only 1 in 10,000 are severely affected. It was suggested in 2001 that the proposed techniques, if they work, could 'save' around ten lives each year. Last week however a JME article upped these numbers to 150. I'm not in a position to seriously dispute these figures as I don't have access to the patient data on which they are based. Nevertheless, to jump from 10 to 150 (via 20 and 80) is quite a jump and raises serious questions about creative accounting. How were their original estimates so off the mark, if the new estimates are supposedly more reliable? Moreover, there is a fair bit of extrapolation involved and the validity of this depends on the distribution of people with mutant mitochondrial DNA being evenly spread throughout the UK and also the USA. Either way we are not talking about huge numbers here. There are also already some alternative solutions available for affected couples including adoption and IVF with egg donation. This is far from established. 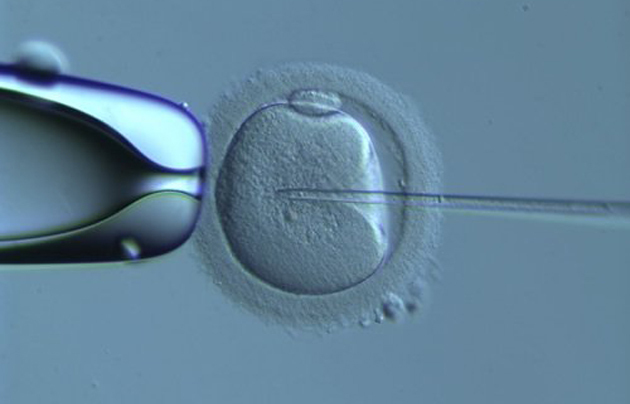 Each technique involves experimental reproductive cloning techniques (cell nuclear transfer) and germline genetic engineering, both highly controversial and potentially very dangerous. Marcy Darnovsky, executive director of the Center for Genetics and Society in Berkeley, California has argued in an piece titled ‘A slippery slope to germline modification’ that were the United Kingdom to grant a regulatory go-ahead, it would unilaterally cross ‘a legal and ethical line’ observed by the entire international community that ‘genetic-engineering tools’ should not be used ‘to modify gametes or early embryos and so manipulate the characteristics of future children’. Cloning by nuclear transfer has so far proved ineffective in humans and unsafe in other mammals with a large number of cloned individuals spontaneously aborting and many others suffering from physical abnormalities or limited lifespans. Also, any changes, or unpredicted genetic problems (mutations) will be passed to future generations. In general, the more manipulation needed, the higher the severity and frequency of problems in resulting embryos and fetuses. Prof Stuart Newman's recent article in Huffington Post is a brilliant analysis of the way scientists have pulled the wool in misrepresenting the scientific facts to a gullible public and parliament. There are reasons to be deeply sceptical about the grandiose claims being made by scientists and patient interest groups with vested interests. This technology uses similar ‘nuclear transfer’ techniques to those used in ‘therapeutic cloning’ for embryonic stem cells (which has thus far failed to deliver) and animal-human cytoplasmic hybrids (‘cybrids’). The wild claims made about the therapeutic properties of ‘cybrids’ by the biotechnology industry, research scientists, patient interest groups and science journalists duped parliament into legalising and licensing animal human hybrid research in 2008. Few now will remember Prime Minister Gordon Brown’s empty promises in the Guardian on 18 May that year of ‘cybrids’ offering 'a profound opportunity to save and transform millions of lives' and his commitment to this research as 'an inherently moral endeavour that can save and improve the lives of thousands and over time millions of people'. That measure was supported in a heavily whipped vote as part of the Human Fertilisation and Embryology Bill, now the HFE Act. But ‘cybrids’ are now a farcical footnote in history. They have not worked and investors have voted with their feet. Ironically, it was in that same Act of Parliament, that provision for this new research was also made. In In early 2009 it was said that there was no funding for cybrids in the UK and ironically only three research licences were granted: to Dr S Minger of King’s College London (R0180), to Prof Lyle Armstrong of University of Newcastle Upon Tyne (R179) and to Dr Justin St. John of the University of Warwick (R183). What happened? Basically zilch! Dr St John emigrated to Australia (where such work is prohibited), Lyle Armstrong eventually switched to working with iPS cells (a more fruitful ethical alternative) and Stephen Minger left academia to work for GE Healthcare (where he promotes work with hES cells for drug screening but definitely does not work with interspecies combinations). This is hugely relevant for the three-parent embryo debate as 223 charities, egged on by the false promises of the scientific community, wrote to the Prime Minister in 2008 to get him to reverse his decision on hybrids and not stand in the way of disease treatments. Déjà vu? No, there are actually huge ethical issues. A large number of human eggs will be needed for the research, involving ‘harvesting’ that is both risky and invasive for women donors. How many debt-laden students or desperate infertile women will be exploited and incentivised by being offered money or free IVF treatment in return for their eggs? Egg donation is neither straightforward nor harmless. It involves using drugs to shut down the woman’s own ovaries, then stimulating them to produce multiple follicles then surgically extracting the resulting eggs. This all has significant health and ethical implications for the donor, including health risk to the donor from powerful hormonal treatments, injections, invasive surgery, and yet it is not for her own benefit. How many thousands of human embryos will be destroyed? If it ever works, what issues of identity confusion will arise in children with effectively three biological parents? What does preventing those with mitochondrial disease being born say about how we value people already living with the condition? Where will this selection end? Some mitochondrial diseases are much less serious than others. Once we have judged some affected babies not worthy of being conceived, where do we draw the line, and who should draw it? 5. IS THE DEBATE BEING HANDLED RESPONSIBLY? No. The research scientists involved have huge financial, ideological and research-based vested interests and getting the regulatory changes and research grants to continue and extend their work is dependent on them being able to sell their case to funders, the public and decision-makers. Hence their desire for attention-grabbing media headlines and heart rending (but highly extreme and unusual) human interest stories that are often selective about what facts they present. MPs know there is widespread public opposition to growing genetically modified (GM) crops in the UK. How much more cautious should they be about allowing GM babies to be created? These techniques are highly experimental, unproven, known to be very unsafe (bear in mind that children’s lives will be the experiment), ineffective, costly, a waste of public money, insufficiently understood, unnecessary (only potentially helping between 10 and 150 families a year) and will require large numbers of eggs to proceed, even for just a few families. Genuine concerns about this new mitochondrial technology have been swept aside in Britain in the headlong rush to push the scientific boundaries. Furthermore in many countries around and the world, and by commentators from both secular and faith based scientific backgrounds, Britain is viewed as a rogue state in this area of research. This move is both premature and ill-conceived. Fiona Bruce MP laid a motion opposing the approval of the regulations which cuts to the chase and encapsulates the concerns beautifully. But sadly it was rejected. MPs should have kept cool heads and instead concentrated on finding real treatments and providing better support for affected individuals and their families rather than spending limited health resources on unethical, risky and highly uncertain high tech solutions that will most likely never deliver. I hope the Lords will subject this issue to more careful scrutiny when they consider it in a few weeks' time. Peter Saunders is CEO of the British Christian Medical Fellowship. This article was first published in his Christian Medical Comment blog and has been republished with permission. You can follow him on Twitter.